Shirts With Random Triangles: Who's Going To The 2016 Outback Bowl? What The Prognosticators Are Saying After Week 12. What matchups sound the best? Brad Crawford's projection of an Ole Miss vs. Wisconsin looks like the best possible matchup at this moment. The two schools are currently ranked second in their individual conference divisions. The coaching matchup between the Rebels' High Freeze, and the Wildcats' Pat Fitzgerald would without a doubt be one of the most interesting among the non College Football Playoff/New Year's Six bowl games. Northwestern vs. Tennessee seems to be the most popular potential Outback Bowl matchup. It's a matchup between a team with a rebound season (Northwestern), and a team that's been that's in the seventh year of a five-year rebuilding program (Tennessee). There were a couple of Northwestern vs. LSU projections. If it turns out to be Les Miles' final game as LSU head coach, it would definitely become a must-see game. Northwestern vs. Georgia is personally interesting, as Northwestern head coach Pat Fitzgerald has been on my short list as potential successor coaches for Georgia if and when Mark Richt's days Between the Hedges are done. 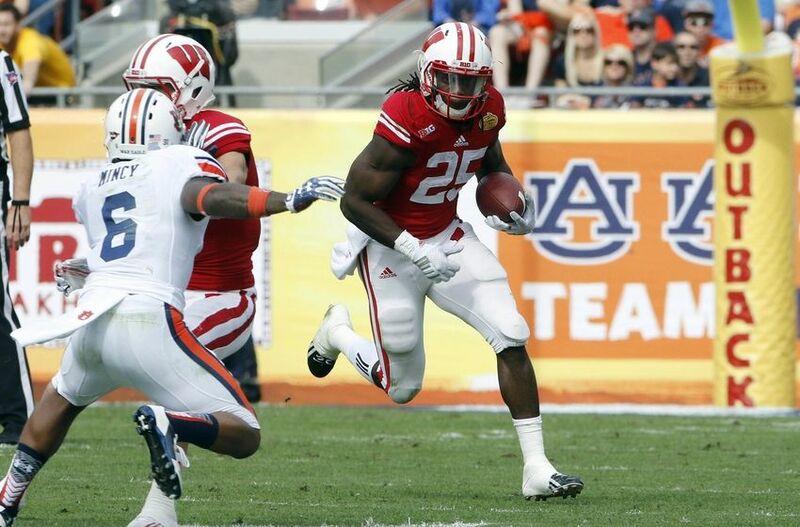 Wisconsin vs. Auburn is the lazy man's pick, since it's a repeat of last season's Outback Bowl. It also only make sense if somehow the rest of the SEC West winds up being tapped for the CFP/NY6 games. In other words, it ain't gonna happen. Northwestern vs. Arkansas is...I don't know what level of insanity that pick is. The only matchup Arkansas vs. a B1G team that would interest the CFP fan in general would be the Hogs vs. their head coach Brett Bielema's former team Wisconsin.